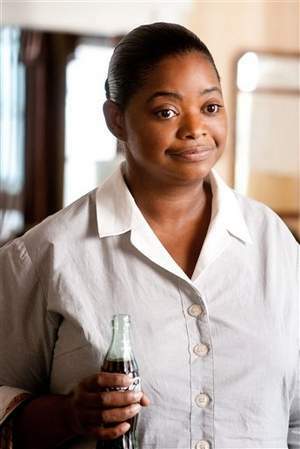 Auburn graduate Octavia Spencer as Minny Jackson in "The Help." Today she got the same treatment from the Hollywood Foreign Press (Golden Globes)—an Outstanding Performance By A Female Actor In A Supporting Role nomination. As I mentioned in my review, Ms. Spencer is phenomenal in “The Help,” and in my mind steals the show. It actually wouldn’t be surprising to see Spencer nominated (and receive) several other awards, including some for breakthrough performance. She’s a Hollywood veteran having appeared in smaller roles in well-known projects such as TV’s “Ugly Betty” and the 2010 comedy “Dinner for Schmucks,” where she showed off her comedic chops. But her performance as Minny Jackson in “The Help” could very well make her a star. Stephen Savage blogs about film and food at Movies ‘n Munchies. Follow him on Twitter: @moviesnmunchies.